Disney Vacation Club rentals are available at the Walt Disney World Resort! 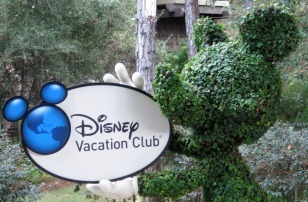 The Disney Vacation Club is a Disney owned and operated timeshare. You can enjoy luxurious accommodations and the comforts of home in a Disney Vacation Club villa even if you are not a member. Why would a DVC member sell their points? When DVC members are unable to use their allotted points they may opt to sell them rather than allowing the unused points to expire. You can rent DVC points directly from a Vacation Club member, but this involves trust and a potential degree of risk. Generally speaking, you must pay in full in advance and trust the Vacation Club member to make the reservations on your behalf. Members can make reservations up to 11 months in advance for their home resort or 7 months ahead for other resorts. How do you find someone trustworthy from whom to rent points? The best renting option is a company that specializes in renting Vacation Club properties. You can stay in deluxe accommodations at Walt Disney World for less money than a regular hotel room. The company we trust and recommend is David's Vacation Club Rental. Click for more information about David's Vacation Club Rentals. David's Vacation Club Rentals is a safe and affordable option for those wishing to stay in a deluxe Disney villas. David's guarantees your transaction which will alleviate worry on your part when renting vacation club points. Renting a Disney Vacation Club villa is one of the best kept secrets in Walt Disney World. You can save as much as half off the rack rates of booking the villa through Disney. 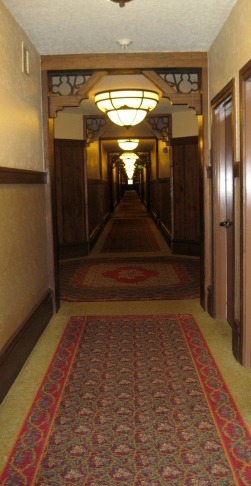 DVC rentals are usually cheaper than a regular Disney deluxe hotel room. The DVC properties are attractive and well maintained. In Disney style, the DVC resorts have creative themes, awesome pools and all the amenities of deluxe Disney hotels. Staying in a villa is unlike staying in a regular hotel room. You will not receive daily housekeeping services. Housekeeping comes on a schedule, usually twice for a week long visit. Also, reservations usually must be paid in full in advance. There is usually a no cancellation policy on these transactions so it is wise to purchase travel insurance. If you are renting your villa, you will be able to purchase a Disney Dining plan, but would be ineligible for packages, including free Disney dining. If you are not a member of the DVC you will also be ineligible for the perks afforded members such as special lounges and free DVD rentals. You can enjoy the luxury of the Disney deluxe resorts at a fraction of the price with Disney Vacation Club rentals. We have personally used David's Disney Vacation Club Rentals and were completely satisfied. David's is a reputable company with an excellent reputation and high customer satisfaction.